With upcoming devices like the iPhone X and Kirin 970, smartphone AI is set to be next industry standard and a huge boon to the usefulness of mobile tech. The development of smartphone AI has indeed paved the way for a new era of mobile technology to rise, one that promises to make future mobile phones smarter. Artificial intelligence was once just a product of myths and stories dating back centuries, and then became a spectre of contemporary sci-fi. From a time when classical philosophers and early researchers once wished to forge the gods they worship, the concept of extra-human intelligence has been around for a while. But, those were the old times. Current technologies have offered modern researchers the opportunity to explore the potentials of artificial intelligence beyond myths and rumors. Fast forward to the present; it comes as no surprise that AI was able to find its way into the heart of one of the largest manufacturing industries today–the smartphone industry. Mobile technology is now considered an integral part of every person’s life. In fact, in the United States alone, 77% of Americans were reported by Pew Research Center to own a smartphone as of November 2016. With the growing interests of people in modern phones, manufacturers are left with no option but to develop superior smartphones. Equipping mobile gadgets with AI technology is perhaps one of the best ways for mobile manufacturers to gain large following and sustain customer interest. No one can deny that when it comes to setting the trend for innovations in the mobile and electronics industry, smartphone manufacturers are by far the best. The tight competition and the goal to be on top of the mobile phone market led some of the most prominent tech companies to invest in AI and machine learning. The continuous efforts by companies such as Samsung, Apple, Huawei, Google, and others gave birth to smartphone AI technology. The same tech now enables premium smartphones to learn and recognize their owners. Take the upcoming iPhone X for example, which will protect your phone with facial recognition biometrics and a robust AI. This is far more secure than, say, fingerprint recognition, for example, boasting a 1 in 1,000,000 vulnerability rating. In a white paper released by IHS Markit, a world leader in critical information, analytics and solutions, they mentioned that AI is currently poised to make a substantial impact on the global smartphone market. In fact, they projected that by year the 2020, the revenue of the smartphone market would reach an astounding $355 billion USD. Other experts such as Vincent Spruyt, Vice President and Chief Data Scientist at Sentiance, a company which focuses on user behavioral profiles, believes that smartphones will soon behave as intelligent entities that will know how we feel and what our emotions are. An apparent product of smartphone AI that will also enable phones to give predictions on how we can improve our lives. It was also reported that Sentience is now working on the said AI technology which will know the mood of every person and how it’s likely to change. This will not only confine artificial intelligence to smartphones but in a way, will give smartphones the power to learn and predict our emotions. If you’re not comfortable with the idea of your phone reading your feelings, don’t panic. Spruyt said that the technology is being tested yet, on a radio player for a major entertainment company. “You could have an intelligent car. A car that knows you are a very assertive drive and plays the correct music to try and calm you down when it knows there is a traffic jam ahead,” Spruyt said. Amidst all the talks of high technology features that smartphones have today, it’s perhaps the smartphone AI feature that would make the biggest impact on our lives in the years to come. Looking at some of the latest smartphone AI and machine learning features that tech giants equipped their phones, we can take a peek at what smartphone technology would look like in the future. If you are not aware of it, Google and Apple have already integrated machine learning to their maps. Right now the technology is still young, but that ‘little’ touch of artificial intelligence in your Apple Map or Google Maps can now predict and make suggestions on where you might want to go. Thanks to its machine learning algorithms, your smartphone can now learn your potential destination just by studying the data gathered from your past locations and recent searches. However, this is probably just a taste of what’s to come. In the not so distant future, there’s a huge possibility that smartphone AI technology could make the decisions for you. Currently, your smartphone map could make predictions and some suggestions. A couple of years from now, it would be AI itself who would decide on where you’re heading next. Artificial intelligence could potentially decide what routes to take based on your mood, attitude, preference, and the traffic conditions to and from your destination. This is highly possible especially if Google and Apple would have all the information they need. The most popular smartphone AI feature that we have today is the AI personal assistant that comes with modern smartphones. To name some, we now have Siri, Cortana, Google Now, and Huawei’s upcoming Kirin 970. Come to think of it. The continuous improvements made these smartphone AI assistants more ‘human’ in many aspects such as the way they talk, behave, and act. For now, they can do basic things such as call someone for us, send text messages that we dictate, open mobile applications, and play some music, to name a few. Just imagine how future innovations in AI technology would change the way these virtual assistants would work for us. Having Siri to book a flight for you, or Google Now to do some online shopping when you do not have the time. They’ll be able to make decisions just by consolidating and learning every bit of information about you. The idea could be a little bit disturbing. But, analyzing the situation would make you realize that it won’t be any different to tell your close friend or secretary to do things for you. It would even be more convenient since a smartphone AI assistant would be accessible anytime, anywhere. In fact, if tech giants succeed in unleashing the full potential of smartphone AI technology, you may not be bringing around huge smartphones in the future. 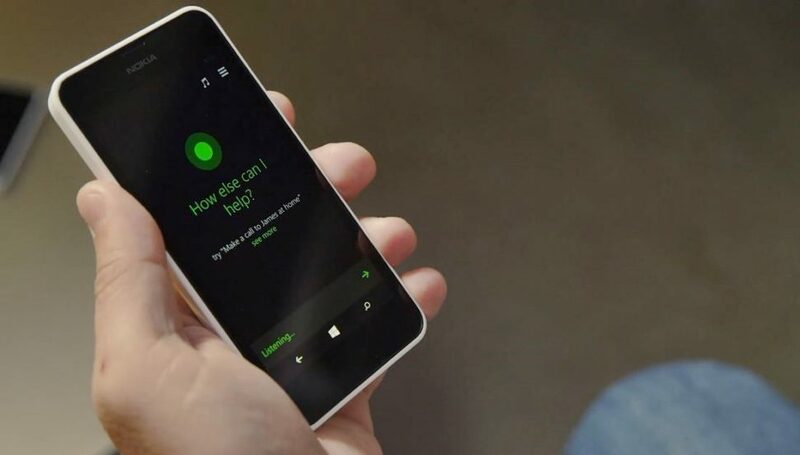 If small devices like earpieces could be used to tap on a mobile phone’s AI assistant, then, you could just give the command through a wearable device and let Siri or another AI tech to navigate your phone remotely. All these sounds geeky today, and we might still be away by a long shot from creating an AI assistant like ‘Jarvis’ from the Iron Man. But, who knows? Artificial intelligence was once a myth, remember? As long as possibilities are explored, we’re not far from a future where people can harness the power of artificial intelligence at the palm of their hands. Do you believe that smartphone AI is the next big thing when it comes to smartphone technology? Why or why not? Let us know in the comment section below!